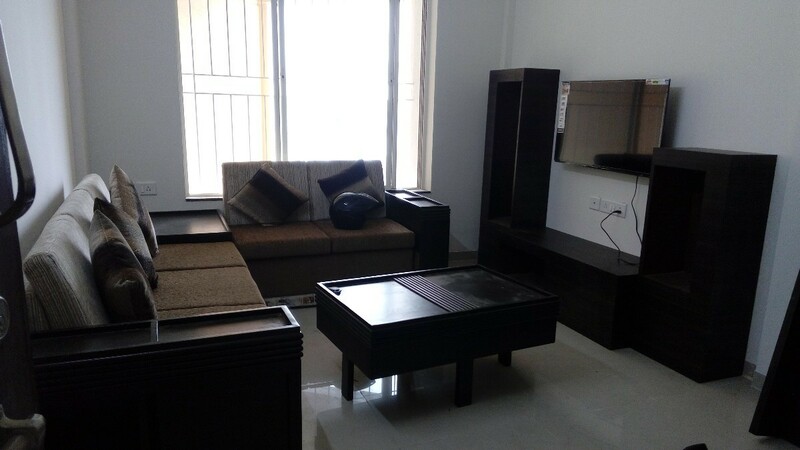 Can you please suggest the color for the curtains and anything else that I can do to brighten the room? It needs a pretty, bright print to liven up things perhaps in oranges or greens. Some warm colors to make it a little more cozy. It needs a pretty, bright print for the curtains to liven up the room a bit. Shades of orange or greens perhaps would make it more cozy. An area rug could help pick up the colors from the curtains. I agree with HerkDia that shades of orange and green would make the room more cozy. I also agree that an area rug would add warmth and help pull the room together. I do not agree that a bright print curtain would work. The room is too Spartan. The furnishings too plain and simple. A bright print would overpower the room. If you are going to keep the simple furnishings with their clean lines, I think vertical blinds would be better. (Maybe not quite the color I came up with). A simple lamp for the corner table, with a shade color to compliment the upholstery would help. A couple of prints on the wall would help, too. Choose soft pastel water colors. 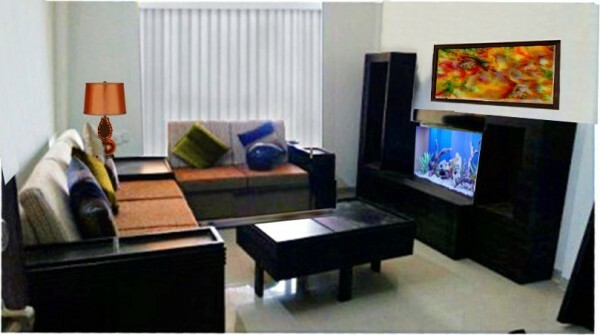 If you don't plan to have a television, an aquarium with colorful fish would be nice in the entertainment center. Get a plant or two. With all that light coming in through the window, they should do fine. The vinyl floor looks very cold. Get an area rug first and go from there. Get one with nice, warm colors, but no loud design. The room looks rather narrow, so keep your decorating simple, it will help. I am not good at this, so, imagine an olive area rug with burnt gold in it. Then imagine a long, narrow coffee table running parallel to the sofa on the left. (The one in the middle of the room is too bulky and takes up too much room). i always like the curtains to match the wall color then throw pops of color on the couch or use wall hangings. Your color scheme would allow you to use your favorite color for accent. 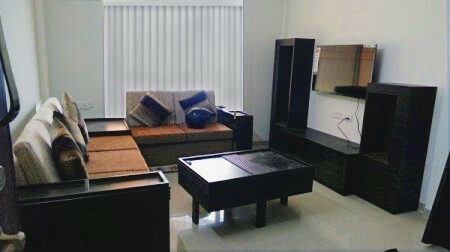 Curtains matched to the wall will make the room feel more spacious. To soften the window, I would go with a warm beige drape that can be drawn to one side. Turn the coffee table 90 degrees and move it in closer to the two sofas. Place an area rug under it with complimentary colors pulled from pillows, or replace pillow to match the rug. I would recommend using an abstract pattern, but not too busy! Place a nice piece of simple art of something you really like. Clean, simple lamps will help bring light and warmth, and green plants add life. Have fun!